***JUST Reduced!! *** Audi Q5 TDI Premium Plus Quattro... Diesel, Nav,20'' Wheels, Pano, LOW Miles!! 1-OWNER... Extra CLEAN... LOW Miles!! 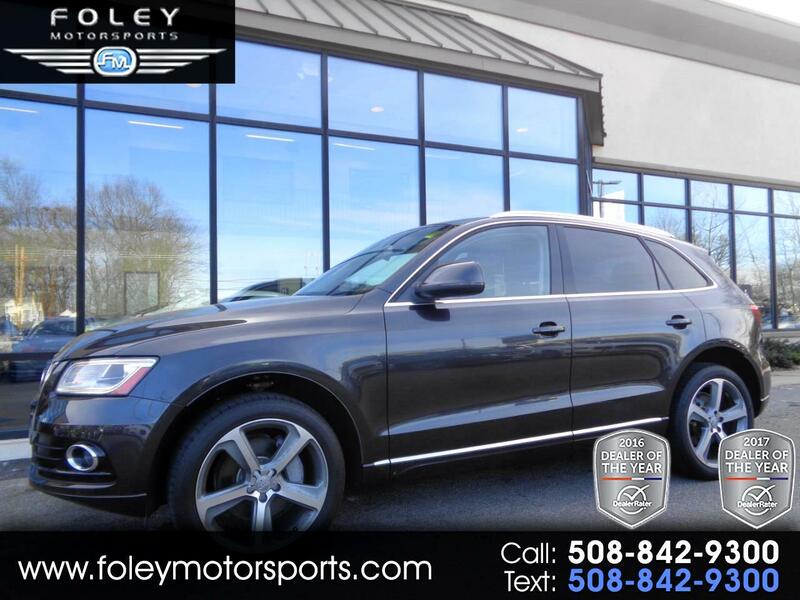 2014 Audi Q5 TDI Premium Plus Quattro Sport Utility... 3.0L V6 Turbocharged Diesel Engine... Daytona Gray Pearl effect on Black Leather Seating... ALL Wheel Drive... Automatic Transmission... LOADED... NAV... 20'' ALLOYS... PANO... Like NEW Condition... ONLY 21,664 Miles!! CAR FAX Certified 1-OWNER Vehicle with Complete BUMPER to BUMPER Inspection and LIMITED Warranty Coverage Included!! The Q5 3.0 TDI features a 3.0-liter turbocharged diesel V6 with 240 hp and a massive 428 lb-ft of torque. The automatic stop-start system is standard. Audi states a zero-to-60-mph time of 6.5 seconds while fuel economy estimates stand at 27 mpg combined (24 mpg city/31 mpg highway).Please feel free to contact our experienced sales team with ANY questions or to schedule a test drive. Buy with confidence from the area LEADER in Pre-Owned LUXURY. Additional 5 Year/100K Extended Warranty Coverage Available. ALL of our vehicles are meticulously detailed and serviced by our factory trained certified technicians. Call or email us at sales@rjfoley.com **$0 Down** 100% financing available with great rates! Trades are always welcome. National and International shipping quotes are available.